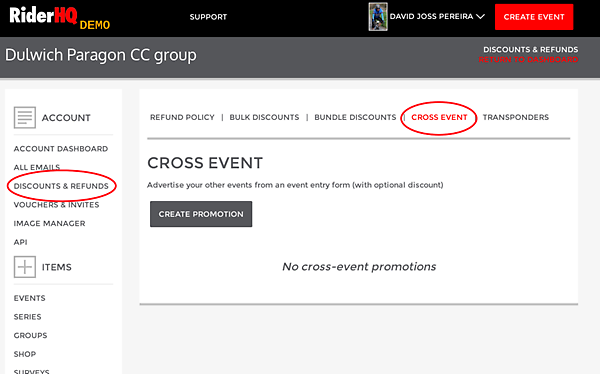 We make it as easy and as quick as possible for people to enter multiple events in one go (or multiple entry types in the same event). 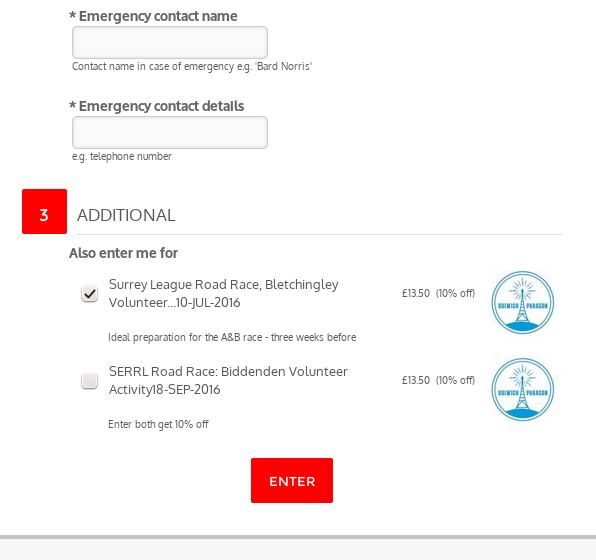 All they have to do is tick a box on the entry form and pay the extra - no form filling or extra pages to navigate. We'll copy their answers from the event they are entering over to their entries in the promoted events. Where they don't have an answer (e.g. 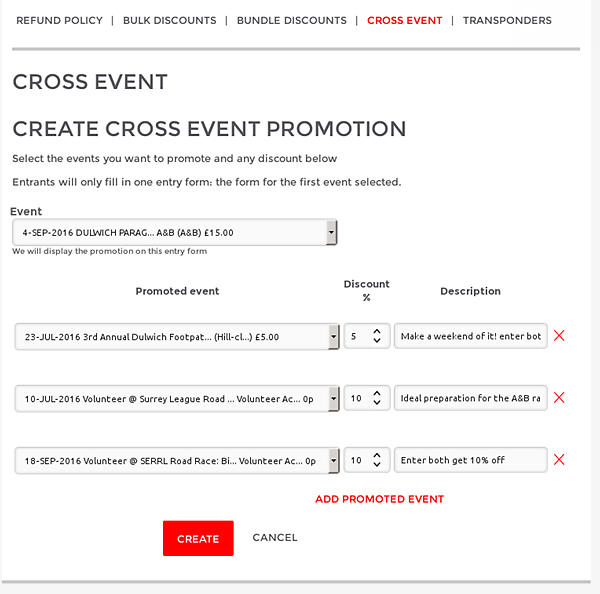 if there is a question in the promoted event's entry form that isn't in the main event's) we'll leave the question blank - they can edit it later or you can fill it in. If there are any 'price adjustments', those will be included in the price (before discount).